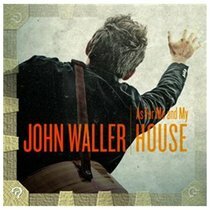 As For Me and My House by John Waller is a collection of scripture-based songs and declaration-style anthems designed to inspire listeners to fight the good fight of faith. The title track uses Joshua 24:15 to highlight the album's theme of declaring our allegiance to God. John Waller hopes this will become a heart's cry for individuals and families around the world. About "As For Me and My House (Special Edition)"